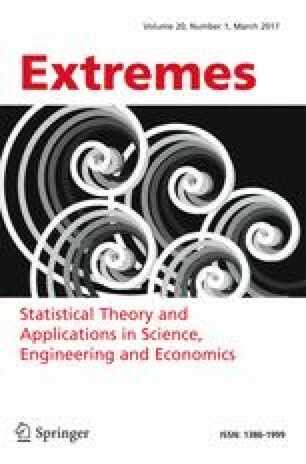 In environmental sciences, it is often of interest to assess whether the dependence between extreme measurements has changed during the observation period. The aim of this work is to propose a statistical test that is particularly sensitive to such changes. The resulting procedure is also extended to allow the detection of changes in the extreme-value dependence under the presence of known breaks in the marginal distributions. Simulations are carried out to study the finite-sample behavior of both versions of the proposed test. Illustrations on hydrological data sets conclude the work.